Glam is a studio album by German electronica group Mouse on Mars. It was released in 1998. It was recorded in 1996 for the purpose of being a soundtrack for a film of the same name, but both the film and the soundtrack were rejected by the studio. album was later reissued on CD in the US by Thrill Jockey in 2003 (with the extra tracks included). 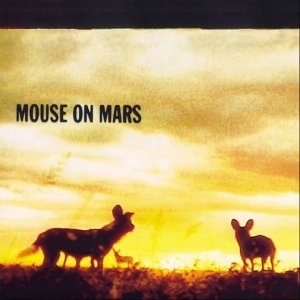 Mouse on Mars is a duo from Germany (Jan St. Werner, from Köln, and Andi Toma, from Düsseldorf) who have been making electronic music since 1993. Their music is a sometimes quirky blend of IDM, krautrock, disco, and ambient with a heavy dollop of analog synth sounds and cross-frequency modulation. Their music also utilizes live conventional instruments such as strings, brass, drums, bass and guitar. Misantropia XYY "La humanidad debe desaparecer"
Blood "Dysangelium" PICTURE LP 12"